Is it possible to change my course name? It would be useful if your course name includes elements like course code, official name and year. 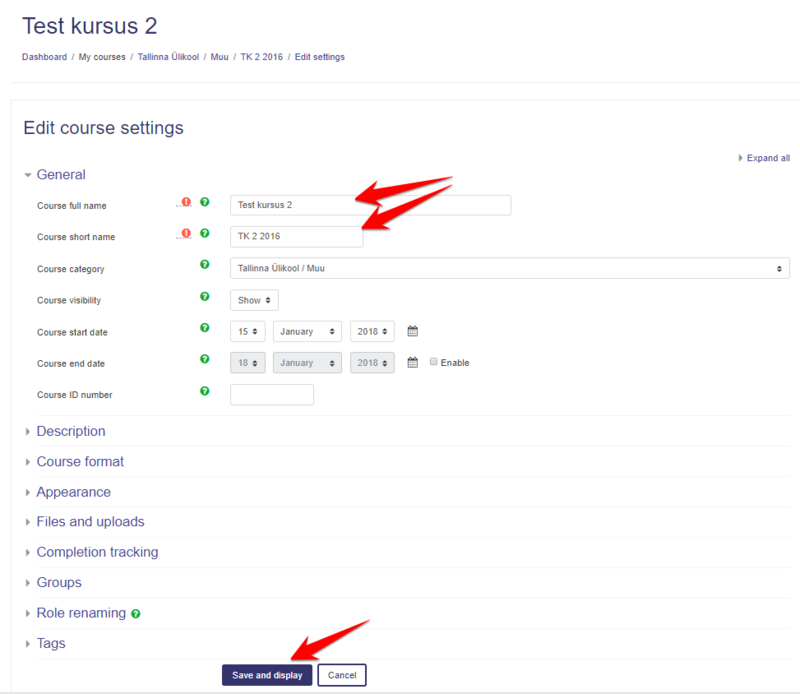 Then it’s easier for students and for yourself to navigate in Moodle, especially if there are courses from different years which are named similarily. And remember, your course short name should also be informative - courses are itemised on your left side bar by short names. So the short name should include for example course code and year. Now you can edit name and short name of your course. Be sure to save your settings in the end of the page!